CUNY-NYSIEB links theory, research, and practice. 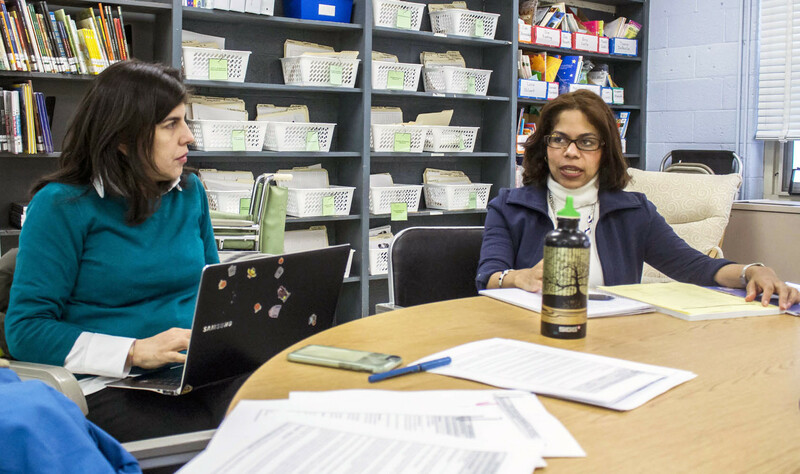 Our Principal Investigators, Associate Investigators and Research Assistants capture data from their experiences at schools in CUNY-NYSIEB cohorts, teasing out observations, themes and trends, for the benefit of other educators and school leaders. On this page, find academic publications authored by members of our team, as well as reports from the State and other sources which we have found useful. Espinosa, C. & Lehner-Quam, A. (forthcoming). 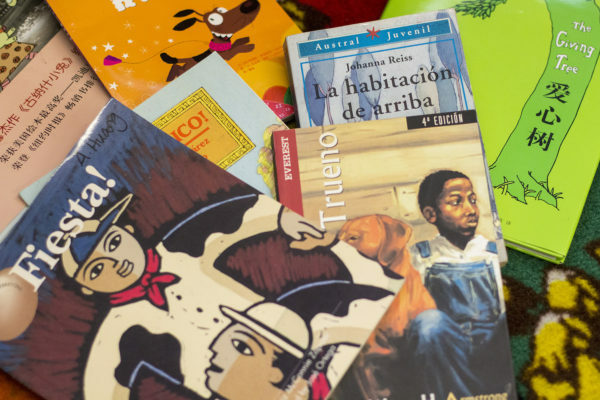 Sustaining Bilingualism: Multimodal Arts Experiences for Young Readers and Writers, Language Arts (March 2019). Ascenzi-Moreno, L. (2018) Translanguaging and Responsive Assessment Adaptations: Emergent Bilingual Readers through the Lens of Possibility. Language Arts Journal, 95(6). Espinosa, C. M. (2018). PD in Developing Biliteracy Skills in ELT. The TESOL Encyclopedia of English Language Teaching, 1-6. Espinet, I., Collins, B., & Ebe, A. (2018). Leveraging Students’ Translanguaging Practices to Strengthen the School Community. Schools of Promise for Multilingual Students: Transforming Literacies, Learning, and Lives, 118. Menken, K., Rosario, V. P., & Guzmán Valerio, L. A. G. (2018). Increasing Multilingualism in Schoolscapes: New scenery and language education policies. Linguistic Landscape, 4(2), 101-127. García, O., Menken, K., Velasco, P. & Vogel, S. (2018). Dual language bilingual education in NYC: A potential unfulfilled. In Arias, M.B. & Fee, M. Profiles of Dual Language Education in the 21st Century (pp. 38-55). Washington D.C. and Bristol: Center for Applied Linguistics and Multilingual Matters. García, O., & Sánchez, M.T. (2018). Transformando la educación de bilingües emergentes en el estado de Nueva York. Language, Education, and Multilingualism, 1, 138-156. Seltzer, K., & de los Ríos, C. (2018). Translating Theory to Practice: Exploring teachers' raciolinguistic literacies in secondary english classrooms. English Education, 51(1), 49. Vogel, S., Ascenzi-Moreno, L., & García, O. (2018). An Expanded View of Translanguaging: Leveraging the dynamic Interactions Between a young multilingual writer and machine translation software. In Plurilingualism in Teaching and Learning (pp. 105-122). Routledge. Ascenzi-Moreno, L. (2017). From deficit to diversity: How teachers of recently-arrived emergent bilinguals negotiate ideological and pedagogical change. Schools: Studies in Education, 14(2), 276-302.
de los Rios, C. V., & Seltzer, K. (2017). Translanguaging, Coloniality, and English Classrooms: An exploration of two bicoastal urban classrooms. Research in the Teaching of English Volume 52, Number 1, August 2017. García, O., Johnson, S. I., Seltzer, K., & Valdés, G. (2017). The translanguaging classroom: Leveraging student bilingualism for learning. Philadelphia, PA: Caslon. García, O., Seltzer, K. & Witt, D. (2017). Disrupting linguistic inequalities in US urban classrooms: The role of translanguaging. In The Multilingual Edge of Education, S. Slembrouck, K. Van Gorp, S. Sierens, K. Maryns, and P. Van Avermaet (Eds). Palgrave Macmillan UK. Sánchez, M. T., García, O., & Solorza, C. (2017). Reframing language allocation policy in dual language bilingual education. Bilingual Research Journal, 41(1), 37-51. Vogel, S., & García, O. (2017). Translanguaging. In Noblit, G. (Ed. ), Oxford Research Encyclopedia of Education. Oxford: Oxford University Press. Ascenzi-Moreno, L. (2016). An exploration of elementary teachers’ views of informal reading inventories in dual language bilingual programs. Literacy Research and Instruction, 55(4), 285-308. Espinosa, C. M. (2016). Reclaiming bilingualism: Translanguaging in a Science class. In Translanguaging with Multilingual Students (pp. 174-192). Routledge. García, O., & Ascenzi-Moreno, L. (2016). Assessment in school from a translanguaging angle. Gegenwärtige Sprachkontakte im Kontext der Migration. Heidelberg, Germany: Universitätsverlag Winter. García, O. & Seltzer, K. (2016). The Translanguaging current in language education. In B. Kindenberg (ed.) Flerspråkighet som resurs [Multilingualism as a resource]. (pp. 19-30). Liber. García, O. & Kleyn, T. (Ed.). (2016). Translanguaging with multilingual students: Learning from classroom moments. Routledge. Cioè-Peña, M. (Fall 2015). Translanguaging within the monolingual special education classroom. Theory, Research, and Action in Urban Education, 4(1). Cioè-Peña, M. and Snell, T. (Fall 2015). Translanguaging for social justice. Theory, Research, and Action in Urban Education, 4(1). García, O., & Menken, K. (2015). Cultivating an ecology of multilingualism in schools. Challenges for language education and policy: Making space for people, 95-108. García, O., & Sánchez, M.T. (2015). 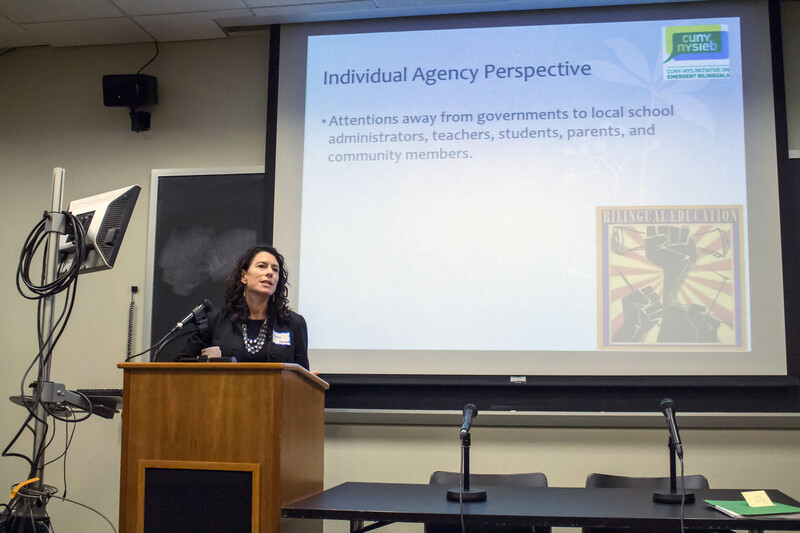 Transforming schools with emergent bilinguals: The CUNY-NYSIEB Project. In I. Dirim et al. (Eds.) Impulse für die migrationsgesellschaft. Bildung, politik, und religion (pp. 80-94). Waxmann; Münster, Germany. Supporting Emergent Bilinguals in New York: Understanding Successful School Practices by María Teresa Sánchez, PhD, Ivana Espinet, and Kate Seltzer—This report documents school practices that support emergent bilinguals in 10 schools in New York State that have high academic achievement while serving a high percentage of emergent bilinguals. The report focuses on the lessons learned while visiting the schools, observing classrooms and talking to administrators and teachers. The report’s appendix has profiles of each of the schools’ practices for educator in the state interested in learning how different schools are supporting emergent bilinguals. New York State Education Department Policies, Mandates and Initiatives on Education of English Language Learners by Angela Carrasquillo, Diane Rodriguez and Laura Kapplan—This report, based on an analysis of policy documents and interviews with key actors, documents the policies and initiatives taken by the New York State Education Department since 1965 to improve the educational opportunities of emergent bilingual in New York State. You may read a summary of this report on the Journal of Multilingual Education Research page.